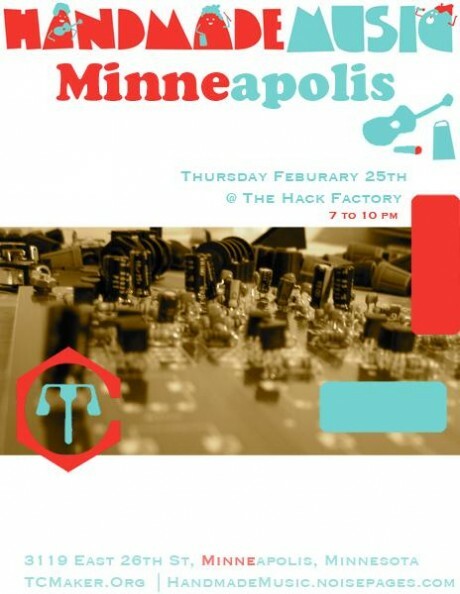 Our friends at the Hack Factory in Minneapolis are hosting their first Handmade Music Event on Thursday Feb. 25th at 7:00 PM. On agenda is 555 LED throwies, cultivating of the DIY Music, and SN76477 chip exploration. The factory is only a few blocks down the street from Hexagon Bar.